The Buzz has invited well-known beekeeper Ross Conrad to visit Bermuda over the weekend of March 27, with a tour of the island and two workshops planned during his stay. 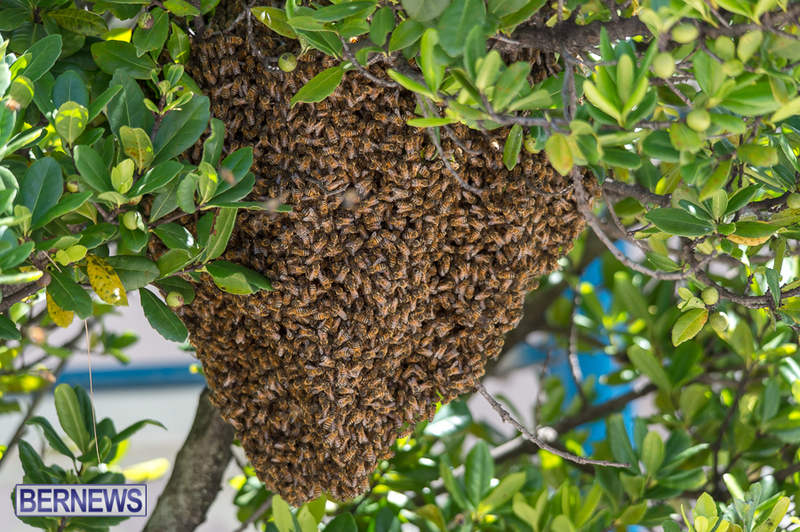 After arriving late on March 26, Mr. Conrad will spend March 27 touring the island to visit beehive sites and to meet with local beekeepers, as well as meeting with representatives from the Department of Environmental Protection. He will also be interviewed on Mix 106 at 10.50am. On March 28, Mr. Conrad will present two workshops at Horticultural Hall in the Botanical Gardens. From 9.00am through 12.00pm, there will be a workshop for professional and amateur beekeepers, addressing varroa and other pests and diseases, organic pest/disease control, and queens [including hygienic] and swarms. The second session, to be held from 2.00pm through 5.00pm, is aimed at new beekeepers and the general public, and will address getting started with organic beekeeping, making decisions on beekeeping equipment and hive location, and the basics of honey bee biology. Admission for each of the sessions is $10 for adults and $5 for students. For additional information, email office@best.org.bm. A spokesperson said, “Ross owns and operates a “human-scale” beekeeping business, Dancing Bee Gardens, in Middlebury, Vermont and also regularly leads beekeeping workshops and classes throughout North America. “His organic bee husbandry methods have proven enormously successful. His hives thrive despite the challenges of Varroa Mite, colony collapse disorder and other maladies that resulted in substantial loss of hives by other beekeepers worldwide. “He learned his skills from the beekeeper and api-therapist Charles Mraz and his son, Bill. Ross is a former president of the Vermont Beekeepers’ Association and he is also the author of Natural Beekeeping: Organic Approaches to Modern Apiculture. Mr. Conrad said, “Since the honey bee exerts such a powerfully beneficial influence on the natural world around us, it seems logical to assume that our own efforts to help the honey bee thrive can indirectly benefit all of nature. “As a result, we beekeepers are, for the most part, a collegial lot; we exist in a kind of friendly competition with one another. “We certainly do not have a situation where there are too many beekeepers in the U.S. In fact, I believe that we need more beekeepers in this world, and those beekeepers need to be successful in apiculture. “This motivates me to do whatever I can to assist my fellow apiculturists, which includes answering questions, offering advice, and even occasionally providing on-site inspections and evaluations of hives. “The most common questions I encounter revolve around how I manage to keep my bees healthy and achieve relatively low winter losses compared to the conventional beekeepers all around our area, who typically experience much larger losses. 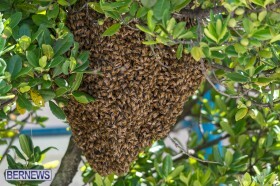 “My own experience indicates that there are many threats to bees these days. Mites, diseases, climate change [changing bloom times, drought, floods, shifting seasons, etc. ], poor beekeeping, globalization that is moving pests, diseases, etc. around the world, industrial agriculture with its monoculture, pesticides, GMOs, loss of habitat, loss of forage, artificial diets of sugar syrup, antibiotics, and approved and unapproved miticides for Varroa Mites. “Beekeeping today is not rocket science, it just seems to be much harder! However, I find that focusing on reducing as many of the sub-lethal stresses that I have some level of control over, helps the bees to be healthy enough in most cases that they can deal with those stressors that I don’t have much direct control over. No pollination no food save our bees please.